Murder heats up Seattle’s Pike Place Market in the next Spice Shop mystery from the national bestselling author of Assault and Pepper. Springtime in Seattle’s Pike Place Market means tasty foods and wide-eyed tourists, and Pepper’s Seattle Spice Shop is ready for the crowds. With flavorful combinations and a fresh approach, she’s sure to win over the public. Even better, she’s working with several local restaurants as their chief herb and spice supplier. 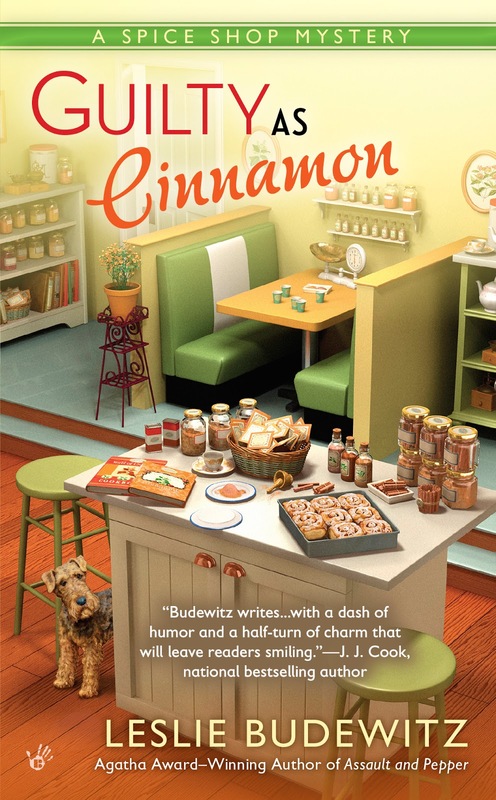 Business is cooking, until one of Pepper’s potential clients, a young chef named Tamara Langston, is found dead, her life extinguished by the dangerously hot ghost chili—a spice Pepper carries in her shop. 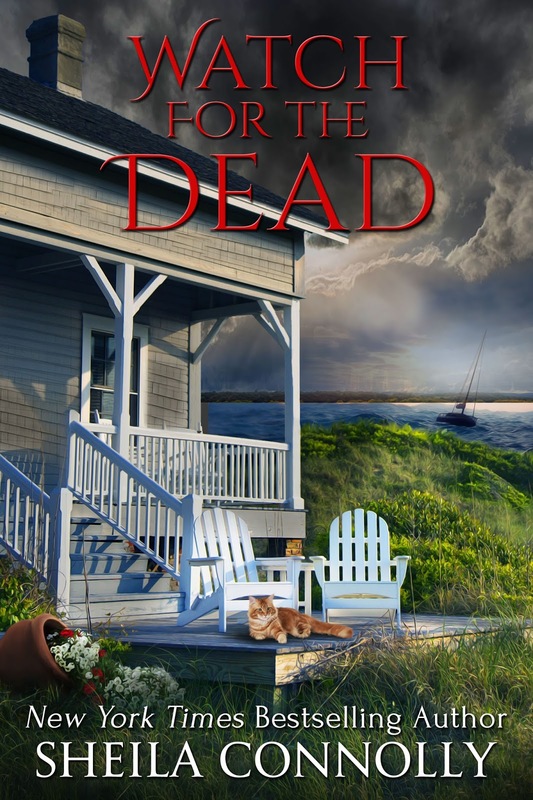 From New York Times bestselling author Sheila Connolly, Abby Kimball returns in a new mystery with her unusual ability to see the dead and even more secrets from the past. Looking to take a break from busy home renovations, Abby and boyfriend Ned Newhall jump at the chance to vacation on Cape Cod. Not only do they plan to get away from the dust and grime, but since Abby has no known ancestors in the area, the trip promises to be free of the unsettling ghostly appearances that have darkened her recent days.Dreams of a relaxing vacation are soon dashed, however, when a storm blows in and brings with it a scene from the past more disturbing than any Abby has ever experienced. The long-dead woman who appears to Abby is someone she’s met before, but this time her presence defies any explanation at all. Happy Season's Readings! 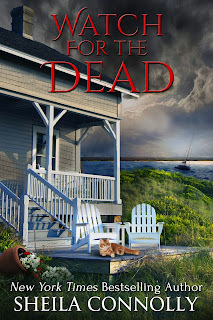 Krista Davis is giving away a book today. The winner gets his or her choice of MURDER MOST HOWL or THE DIVA STEALS A CHOCOLATE KISS. Leave a comment with your email address to enter! I love all of her books. I don't know which to choose. If I win, that is, lol. December is another great month for new releases. 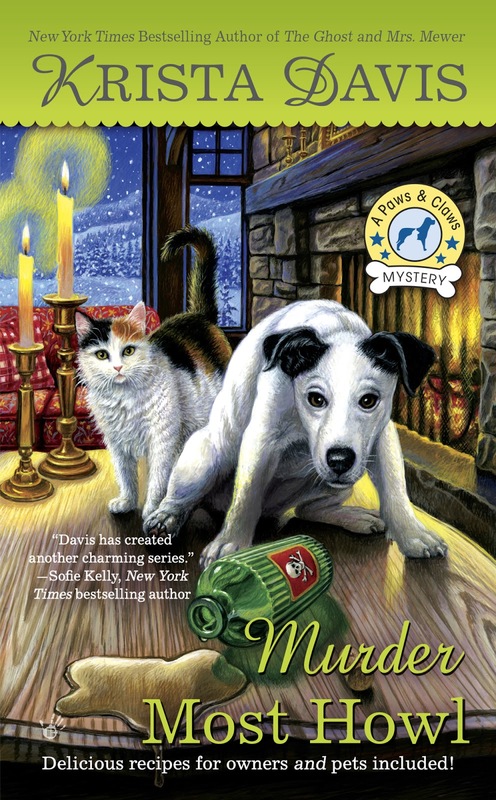 I love the cover of Murder Most Howl. Thanks for the giveaway. 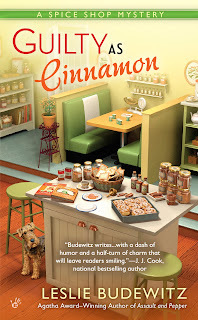 The Diva Steals a Chocolate Kiss with the cute cat on the cover, looks like a fun read! Please enter me! Thanks for the chance to enter!! They both look good!! lordkathy@aol.com. What a great giveaway! Murder Most Howl is on my list! Thanks for the chance! Wow. Much as I want to win, the decision would kill me! Great giveaway. Would love to read either book. Thanks for the chance. Nice assortment of books you've highlighted here. Great reading. I have to hurry and get my decorating done so I can sit by the tree and read in the evenings. All of the books look fantastic. Looking forward to reading all of this series! Like the look of December's new releases. 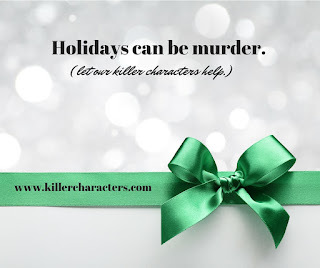 The chance to win one of Krista's books is an awesome thing too. Not sure at this moment which I would choose. Thank you for that chance though. I just started Murder Most Fowl. 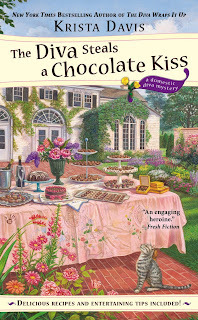 I would love to win The Diva Steals a Chocolate Kiss! I've read ALL of the diva books, but I think its about time I start the Paws series!!! Thanks for the chance at one of these great books! I would choose Murder Most Howl! SO many great books out this month! Can't wait to read Murder Most Howl. I am really looking forward to Murder Most Howl but love all the books. They both look good. I'd be happy with either one. 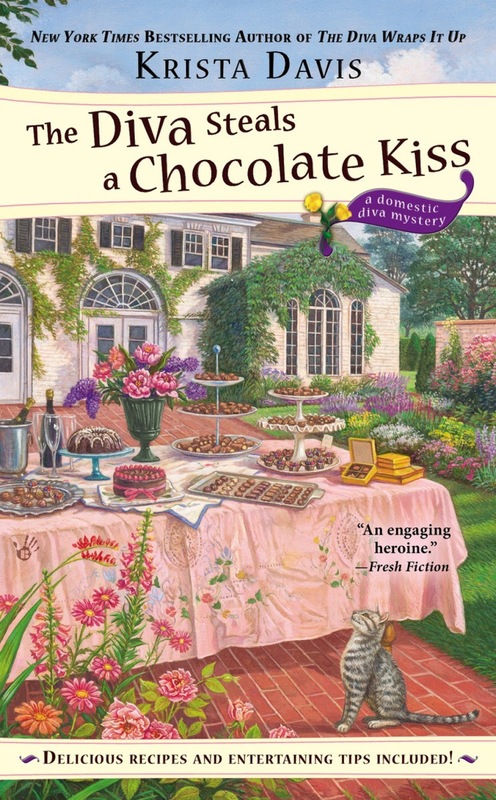 I would love a copy of A Diva Steals A Chocolate Kiss! All these wonderful new releases! They're each a wonderful holiday gift! Either book would be great! They both would be great. Maybe I'd like Murder Most Howl. I don't have any in that series.